As an experiment, I have decided to make "brah" a regular part of my vocabulary. "Brah" is a variation of "bro" which is short for "brother" which is slang for "friend" or "buddy" and does not mean your actual brother. So last night when I bought a Diet Wild Cherry Pepsi from the checkout guy at Famima! !, I said, "Thanks, brah." 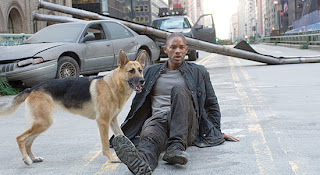 And when the guy took my ticket at I Am Legend: "Thanks, brah." Neither of them interpreted this as ironic in any way whatsoever, which is good because that's my intention, brah!